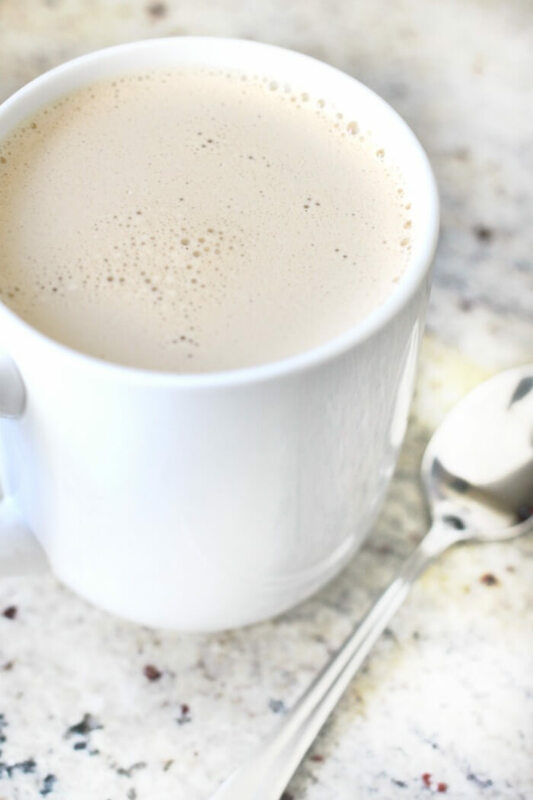 Learn how to make delicious and simple Bulletproof Coffee with this easy recipe! Bulletproof Coffee!!! You guys, everyone I tell about this stuff turns up their nose. And then they try it. And become addicted. Because it’s SOOOOOO good! 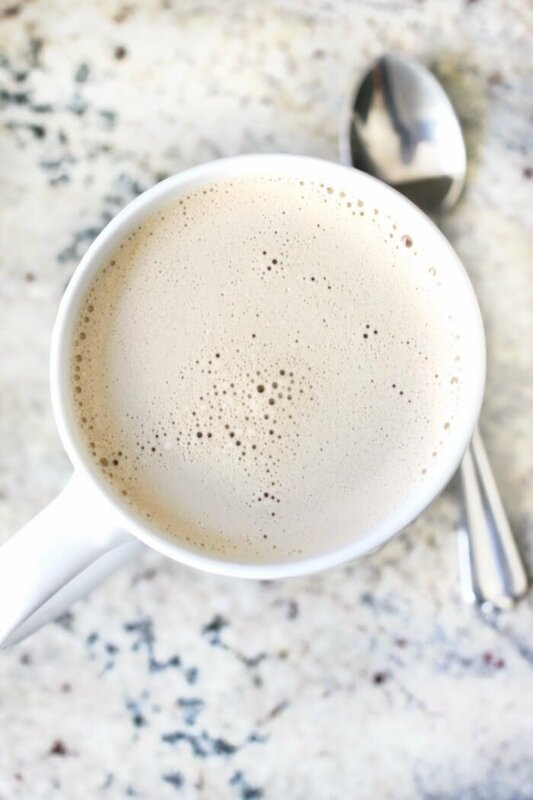 This bulletproof coffee recipe is perfect for folks like me who can’t handle the idea of food in the morning. Also perfect for my dairy free friends who still want a frothy creamy coffee to enjoy. When I drink this in the morning, I’m usually not hungry again until lunch time. It’s full of good healthy fats that fill you up and keep you satisfied for a(n unreasonably) long time. I seriously can’t say enough good things about Bulletproof Coffee. On days when we want more, there’s always some bacon in the oven, a batch of breakfast chili, or some sausage stuffed breakfast peppers. Black coffee – Any type of black coffee you like will work. I usually make mine decaf as I am sensitive to caffeine and sometimes I’ll make my bulletproof coffee with a naturally flavored coffee like hazelnut or peppermint. There’s no special way to prepare it, I usually use my Keurig. 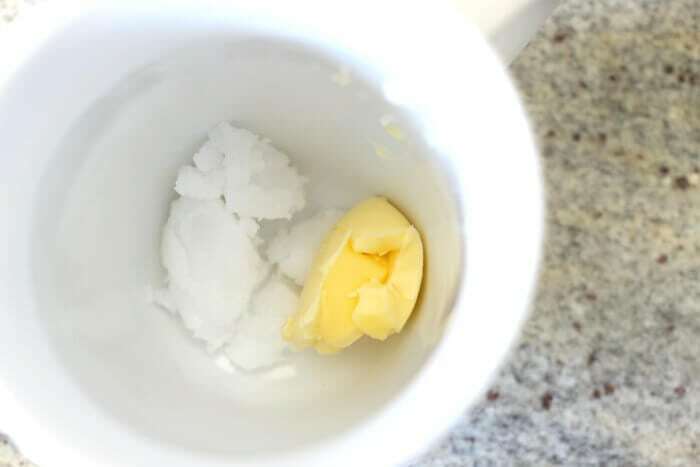 Butter – Technically any kind of butter will work, but if you’re drinking a bulletproof coffee recipe for the health benefits, then you’ll want to go with the best butter you can find. We are partial to Kerrygold butter because it’s from grassfed cows and also has lower moisture content than typical American butters. Most folks make their coffee with unsalted butter, but I actually prefer to use salted. Coconut oil – Also sometimes referred to as MCT oil which stands for Medium Chain Triglyceride Oil. MCT’s are metabolized differently than the long-chain triglycerides (LCT) found in most other foods. Bulletproof coffee, also sometimes referred to as butter coffee, is coffee blended with butter and coconut oil (also called MCT oil). 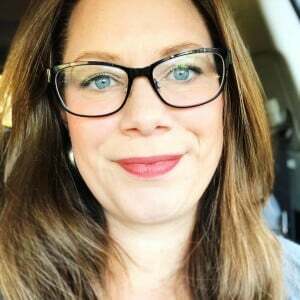 It has been around in paleo and crossfit circles for a long time, but just recently seems to be making its way into the mainstream. There are about as many ways to make it as there are makers of coffee, but I’m just going to tell you about mine. What are the Benefits of Bulletproof Coffee? Bulletproof coffee is full of healthy fats and can help you get your day started on the right foot. I find when I drink a mug of bulletproof coffee in the morning, I am not hungry again until lunch time, even if bulletproof coffee is the only thing I had for breakfast. For me the benefit of bulletproof coffee is being able to have a quick “breakfast” (I’m not much of a morning eater), and feeling full until the next meal. The healthy fats in high quality butter and coconut oil are good for your body and brain, and bonus – it tastes delicious. Yes, bulletproof coffee is ketogenic. In fact in some circles you’ll hear it referred to as keto coffee. Whether you call it bulletproof coffee, butter, coffee, or keto coffee – it’s all delicious and great on many diets. 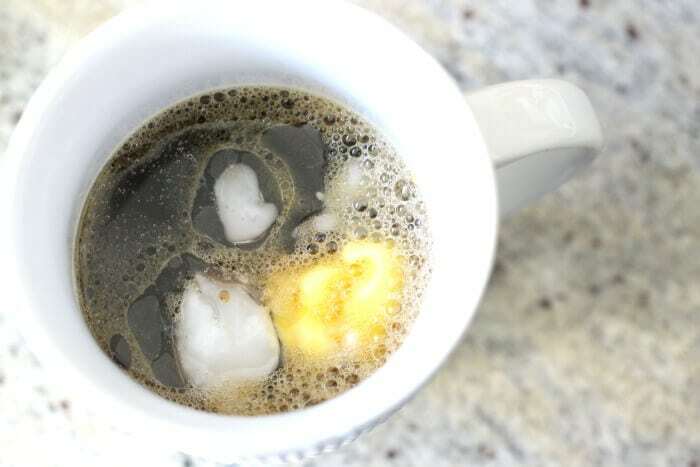 A lot of people rely on bulletproof coffee for weightloss as it allows you to stay full without eating too much and it’s super easy to make in the morning. Not like so many other diet foods that require a lot of prep before you get out the door. White Porcelain 17 ounce Latte Mugs – I am a mug snob. Total. Mug. Snob. And I deem these not only acceptable, but gorgeous and the perfect receptacle for your morning cup of bulletproof coffee! 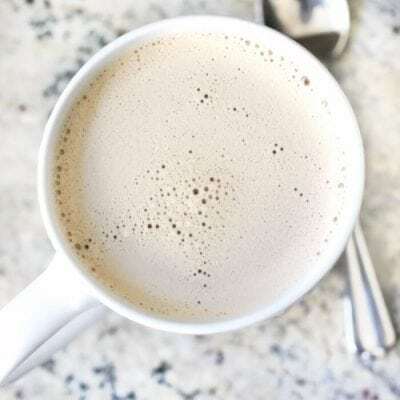 Kahlua Gourmet Ground Coffee, Hazelnut – The only thing I love more than bulletproof coffee is hazelnut bulletproof coffee. You guyssssss, it’s so good. Kerrygold Pure Irish Butter – Unsalted – my fave butter. I’ll tell you a secret though. Sometimes I use salted. And it’s delicious. Carrington Farms Organic Extra Virgin Coconut Oil – If you’re going to make bulletproof coffee, you ought to go all out and make the best! Mr. Coffee Coffeemaker, Chrome – This is the coffee maker I have in the kitchen. It’s pretty and it makes a solid cup of bulletproof joe. Keurig Elite Brewing System – This is the coffee maker I have in my office. Also makes a solid cup of bulletproof joe. Zero Fox Mug from Etsy – This is my Monday cup. Also, sometimes my Tuesday cup when Tuesday is acting like Monday. 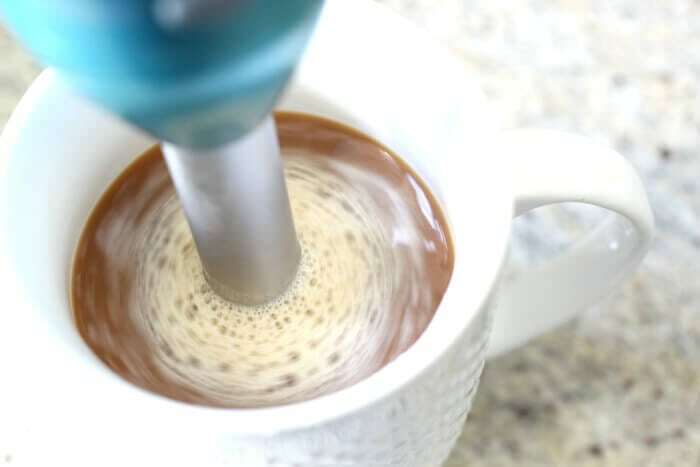 You can also watch us make this Bulletproof Coffee on YouTube! Make sure to tune in for all our live cooking shows! Add butter and oil to the coffee cup (or whatever mixing vessel you're using), pour hot coffee over top. Blend with a stick blender (or in your upright). Can I use heavy cream and coconut milky make it? 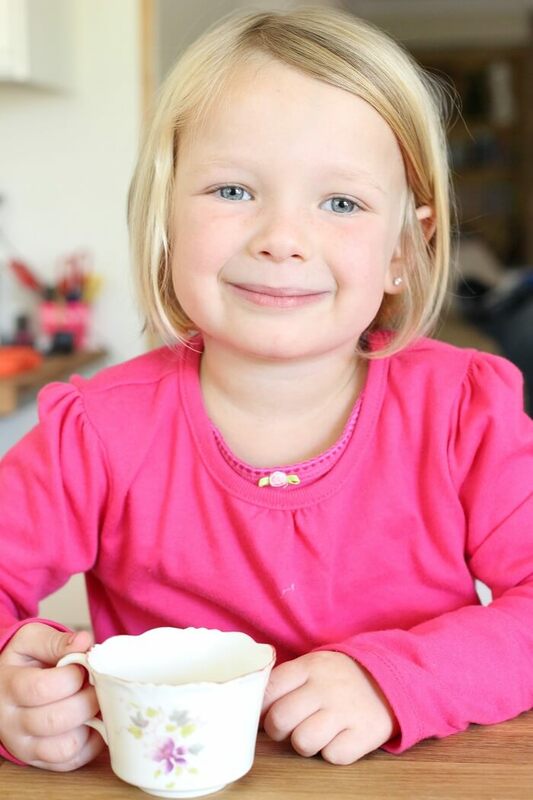 I drink several cups of coffee each day, can I have bulletproof coffee each time? Is there any way to make sweet but still just as healthy? You could add artificial sweetener, like Stevia. Thanks for the recipe and tips! I just made my first Bulletproof coffee. I didn’t have Keto coffee so just used expresso in my French Press. I only did about 1/2 tsp of Coconut Oil because I couldn’t quite stomach the thought of a whole TBSP. I used Kerry Gold butter. It tastes great!